PM Modi will visit Palestine capital Ramallah on February 10. New Delhi: Prime Minister Narendra Modi will visit Palestine on February 10 as part of India's outreach to the Arab world - seen as a balancing act following its closer ties with Israel. He will visit Palestinian capital Ramallah and have meetings with Palestinian President Mahmoud Abbas. The three-nation tour will also include visits to Oman and the United Arab Emirates, sources said. The dates for the tour were fixed days after Israeli Prime Minister Benjamin Netanyahu's visit to India, which concluded on Friday. Over at least five decades, New Delhi has consistently supported the Palestinian cause, recognising it as a state in 1988. But India's policy towards both nations has undergone a slow shift since the NDA government headed by PM Modi came to power in 2014. Last year, PM Modi had visited Israel -- a first by an Indian Prime Minister. He did not visit Palestine at the time -- an omission that was seen as part of India's efforts to de-hyphenate Israel and Palestine and signaling an intention to develop closer ties with Israel. Mr Netanyahu's subsequent visit to India has built on the strategic partnership between the two nations and a beginning on collaboration across various fields including defence, oil and gas, renewable energy, cyber security and even film-making. But in December, India voted at the United Nations along with 127 other nations against US President Donald Trump's decision to recognise Jerusalem as the capital of Israel. The status of Jerusalem is one of most contentious issues between Israel and Palestine, with the Arab state wanting East Jerusalem as the capital of a future state.Later, India said its position on Palestine was "independent" and "consistent". 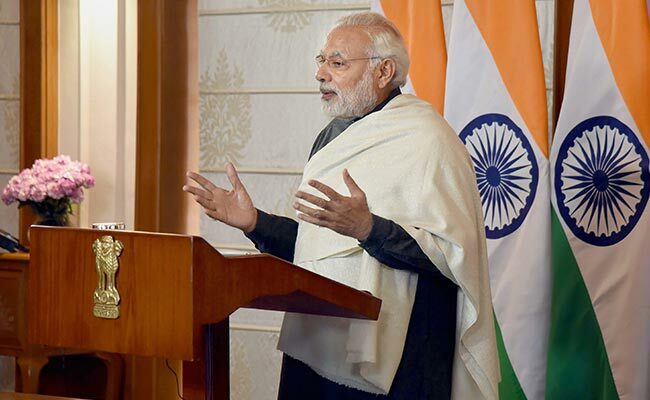 In May last year, during the visit of Palestine President Mahmoud Abbas to Delhi, PM Modi had emphasized India's commitment ''to see the realization of a sovereign, independent, united and viable Palestine, co-existing peacefully with Israel". He also spoke of India's ''unwavering support" to the Palestinian cause''.